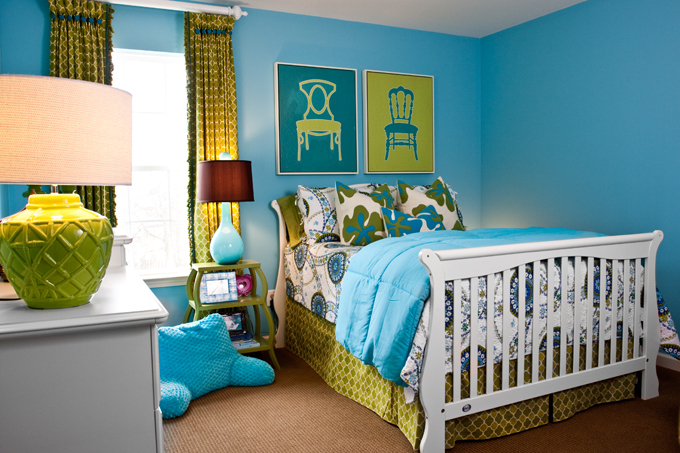 I love the fun and fresh colors in this bedroom designed by Eric Ross. He designed it for a 5 year-old girl, but I definitely think it’s a space that she’ll continue to love for a long time! 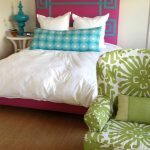 I especially love the mix-in-match bedding and that great chair! And that green fabric is fantastic! Fabulous Blog!! I added you to my daily reads! Turquoise with a capital Turq!! Fresh~Fun! I think turquoise and green – especiall lime green – is my favorite combination. I love the mix of the colors and patterns! I use this shade of green in my dining room, kitchen/breakfast nook and living room. I want this 5 yr old's room in my house! I love the color paint on those walls. I would kill to know where I could get it myself! Any ideas? Loving it with the green. This room should go the distance through her many ages. Have a great weekend. I love the color of the wall 🙂 I'm planning to paint my room that color, if not then a little paler. Love your blog! As always, love this post. The colours are great and very stimulating. Not the obvious choice for a five year old, but fun. I love this room!!!!! is sooo pretty and I am an Eddie Ross fan definetely! I love bold children's rooms and the accessories and artwork are timeless! Thank you for sharing! Funny enough the bed looks like it was originally a convertible crib. Nice to see that even famous designers like Eddie are willing to incorporate existing furniture pieces into the design. As always, a wonderful find! Thanks so much for the compliments. But, the designer is ERIC Ross, not Eddie, but I'm honored for the comparison. I'm a fan of his as well. Such a fun room to create. Some details: wall color is Blue Bayou from Porter PPG Paints and the chair art on the wall is from Left Bank Art out of California. Enjoy! Amazing chair with the cool pillow! I'm 32 and I totally would love to have this room. How funnny – I was just searching for some green fabric for a client today and saw this one on the chair. Yeah! A great example – thanks! YES YES YES!! This is a fantastic not-of-the-norm kid's room. I love it! great pic! 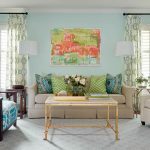 my 7 year old daughter's room is this color…san clemente teal by benjamin moore, and i love the idea of adding this green to the scheme! What a fun room, I love those prints above the bed! 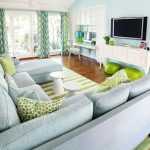 What great use of blues and greens! The pillow and the prints over the bed are so cute.